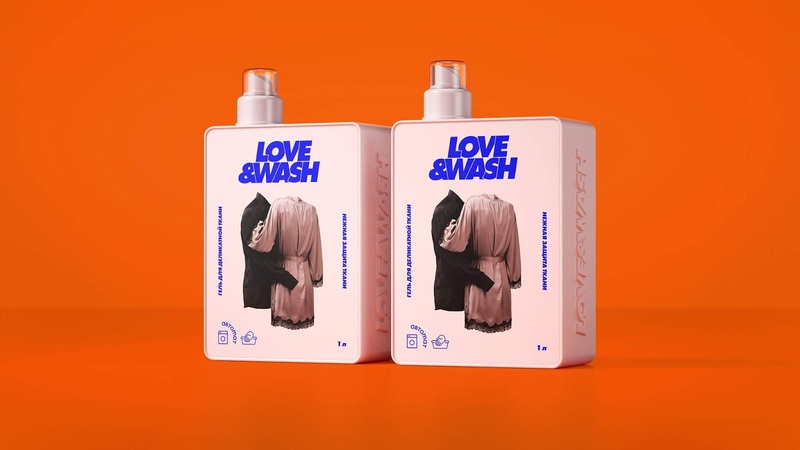 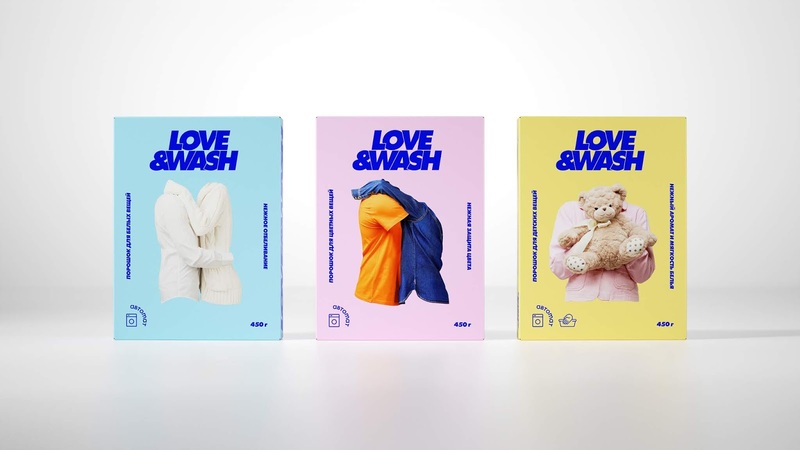 The name of the brand Love&wash means that washing can bring joy. 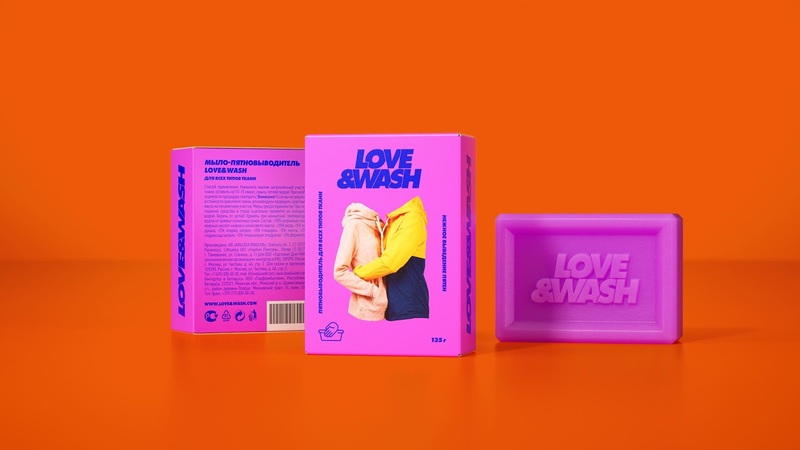 The letters in the logo repeat the basic idea and are «pressed» to each other. 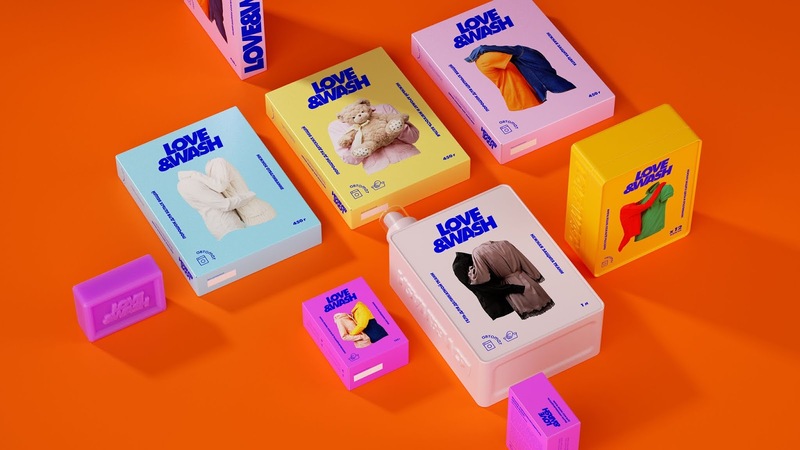 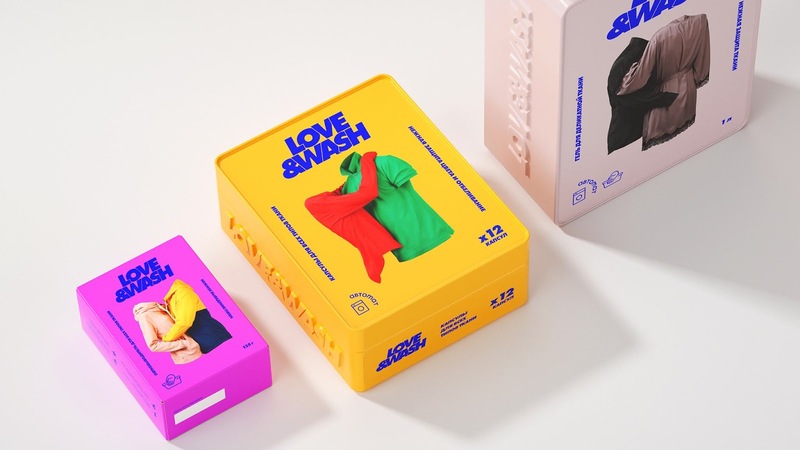 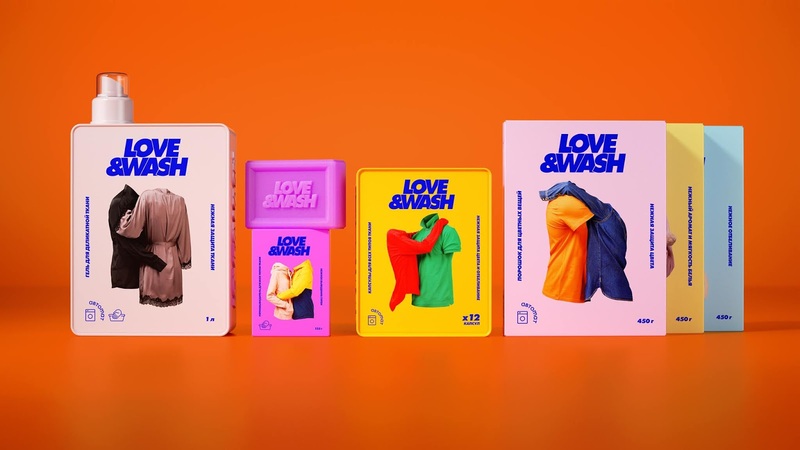 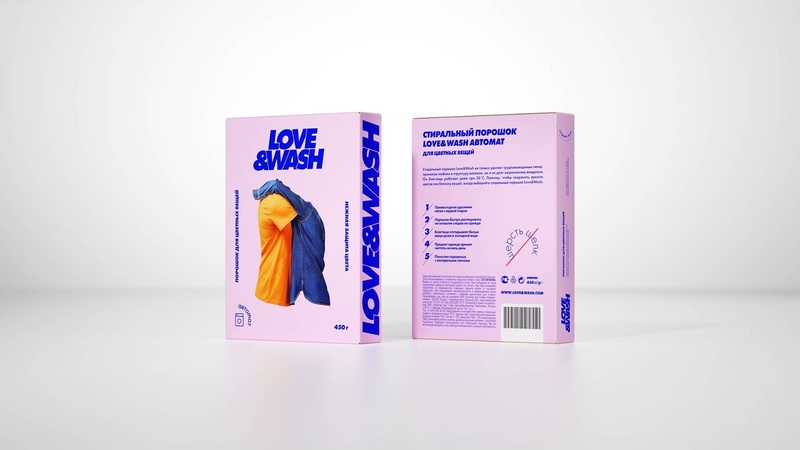 The clothes on the packages correspond to the type of fabric: for example, an orange T-shirt and a denim shirt hug each other on the label of the washing powder for red color clothes. 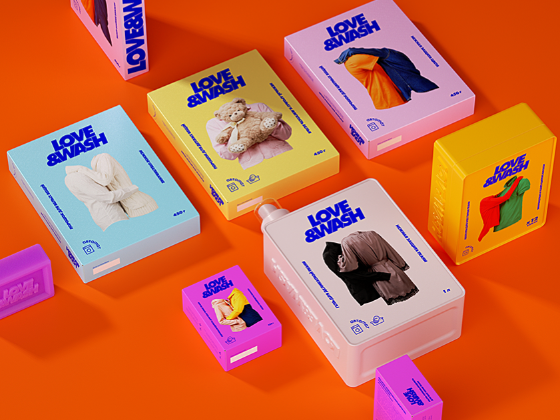 Background color enhances differentiation.